Native wildflower meadow with custom granite stairs. New fire pit area and hot tub renovation. As designers, we transform ideas into reality. 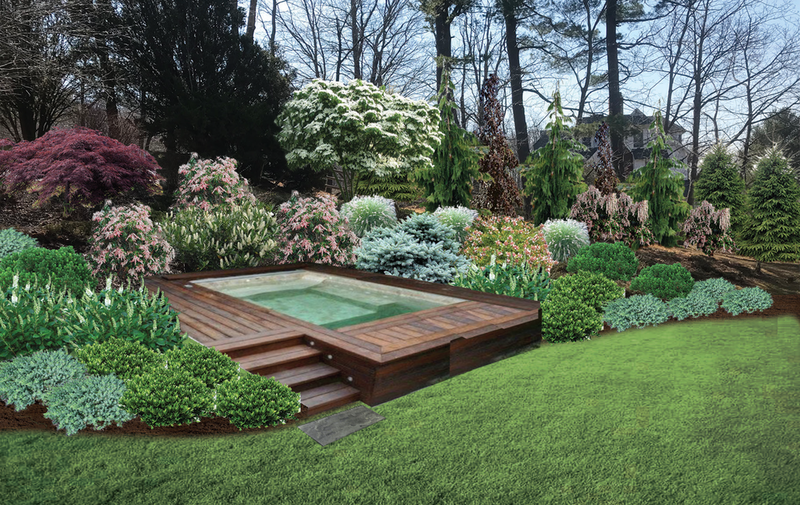 But before that can happen, we show you what our garden design ideas can look like. Our client presentations give us the opportunity to provide you with a vision, to establish a conversation. 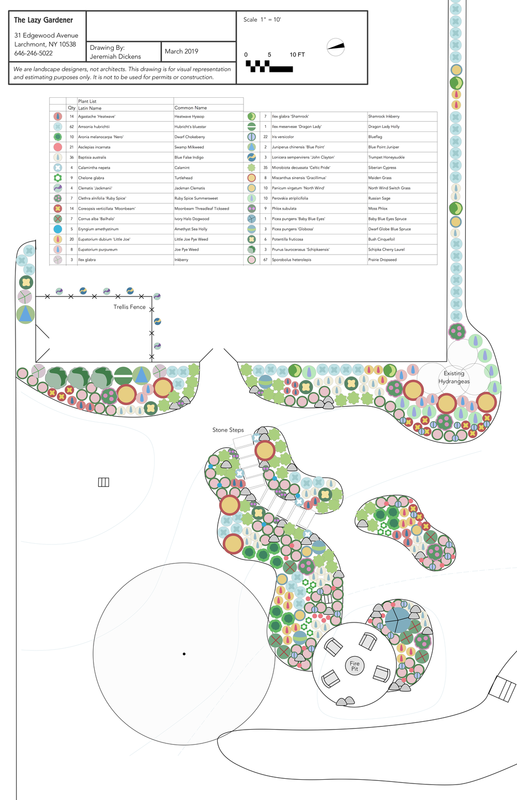 This particular client offered us a series of unique design challenges: designing a large wildflower meadow for beekeeping, a fire pit and encompassing garden, and a new lush space for their hot tub. Using the latest technology, we assembled mock-ups that feel realistic and aerial planting plans that visually describe the project.